Modern womenswear designer Jessie Liu presented selected looks from her two collections at The Ritz-Carlton Club, San Francisco during a private wine tasting and shopping event on Wednesday, October 21. Photos by Christian Hadidjaja. It has been a great experience knowing Jessie Liu and her eponymous label (previously known as Simple Pair Design) this year. I first met her during Fashion Incubator San Francisco (FiSF) Pop-Up Shop opening at Bespoke Westfield SF, where I was really impressed with her fitting and attention to details. Then I met her and the FiSF girls again during Macy’s Fashion Front Row event. Lastly, I bought and wore her pants during Chinatown International Fashion Week’s Press Preview Event, where several of her designs were featured. 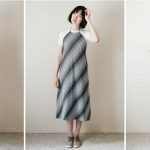 Jessie Liu’s label might be young, but I am really in love with her wholesome process: not only the resulting garments, but also her design, pattern-making, and fitting process. She’s really passionate in doing her best in each and every piece, and her small design team is stellar. So when she asked me to model her designs during this private event at Ritz Carlton Club, it’s a no-brainer that I’d gladly do. There’s only four models for Jessie Liu fashion presentation that Wednesday evening. I gladly joined gorgeous women Britteney and Katy So (I can hardly wait it’s been a year since we all walked together at Monique Zhang’s On-Lok fashion show!) and Diana, a guest model who’s really well-known in The Ritz Carlton Club circle. 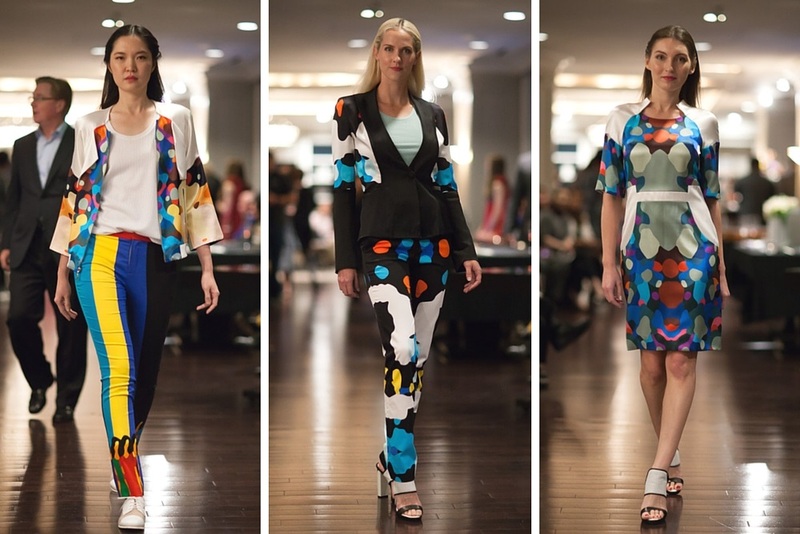 In addition to her presentation, her Spring/Summer 2015 designs were up for sale, along with some wine tasting and high-end jewelry shopping in the atmosphere of live classical/jazzy music at the 12th floor lounge. Jessie opted for a natural look for her models, which was deftly executed by makeup artist Eddi Hsu. As for hair style, we got a quick flat ironing session and side twists. The picture below is myself, Britteney, and Katy posing backstage (i.e. the hallway in front of the restrooms) several minutes before the show started. Diana was still having her hair done at this moment. When Freddie, the musician started playing at 6:45pm, the show began. On time, I must add. Guests were treated to seven selected looks from Jessie Liu SS15 collection as we walk through the length of hardwood hallway of Ritz Carlton Lounge. ‘The Incense of Color’ collection features her colorful printed textiles, born from a collaboration with Chinese painter Feng Guo. I really love Jessie’s modern aesthetic and creativity. It’s no wonder she won first place in the InspiRare-sponsored fashion design contest with this inaugural collection, which led her to present this collection at 2014 Vancouver’s Fashion Week! I can only imagine the kind of journey Jessie has been going through as a fledgling indie designer. From ditching her previous accounting career in Toronto Canada, relocating and getting her MFA of Fashion Design degree from the Academy of Art University in San Francisco, creating her own company that’s now based in San Mateo, not everyone has the kind of talent, perseverance, and determination that she has. She’s also surrounded by people who’s making things happen and helping her get to the next level. Her pattern maker and graphic designer are her two warriors. In addition, her mentor Gonbee Tanaka (pictured with Jessie Liu below), who was previously her instructor, is now a great influence in fitting, pattern making. A great team, right? And as we’re taking a break during the transition to Jessie Liu Spring/Summer 2016 presentation, we documented another moment since it’s not everyday I get to meet these two gorgeous girls! 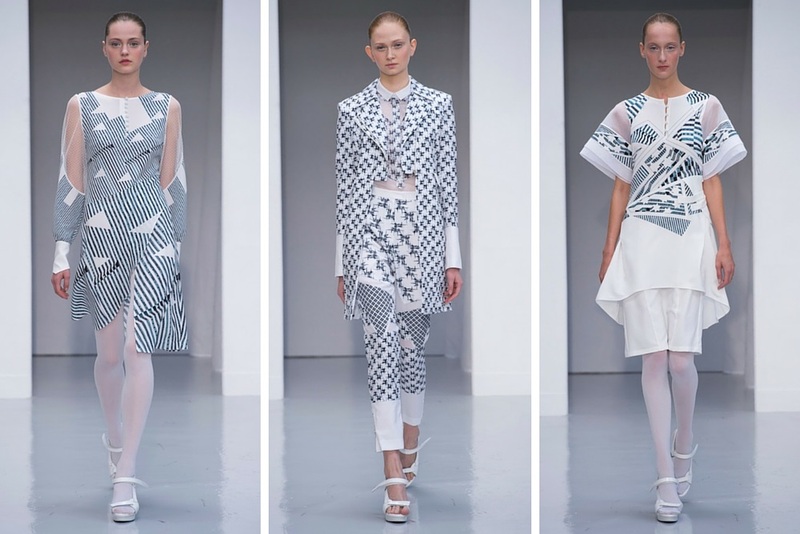 Jessie selected another seven looks from her SS16 collection. I definitely love both black and white coats I got to wear, whereas Jessie singled out the black trench coat (the white one is also available) as her favorite. Afterwards, Chris got to take detail shots of the last three looks Britteney, Katy, and I wore. At the end of the evening, the Ritz Carlton guests were happy (pretty sure thanks to the wine) and impressed by Jessie’s designs (there were some sales that night! ), and her family was beaming. Her son was running around, excitedly bumping into us backstage repeatedly, making us smile and boosting our energy. Her mom, her no. 1 fan, was smiling broadly, clearly proud of her daughter. Congratulations again for Jessie Liu! I’m really proud of her and will continue to support her for sure. I’m sure she will continue to gain more fans and grow her label. 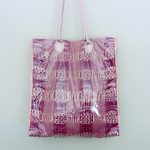 Check out her full collections on jessieliucollection.com! PreviousChinatown International Fashion Week Press Night: Flash, Light, Fashion!